If you can’t make it to the Red Centre’s West Macs, this is the next best thing – and just a five hour drive from Adelaide. The mountains here, once higher than the Himalayas, are more than 600 million years old. The Aboriginal Dreamtime stories that are woven around the creation of these ancient landforms and gorges have been passed on for more than 40,000 years. While remote and rugged, main roads are accessible to conventional cars, but many side tracks are 4WD only. The best time to visit is in spring, when the ragged hills and valley floors are carpeted with wildflowers. Slow down for . . .
Take a steam train ride on the Pichi Richi Railway. Built in the 1870s, the line runs through deep rock cuttings, stone wall embankments and across spectacular iron bridges. You can, if you prefer more traditional locomotion, try a camel tour as well. Check out the ancient Aboriginal rock art at Chambers Gorge. 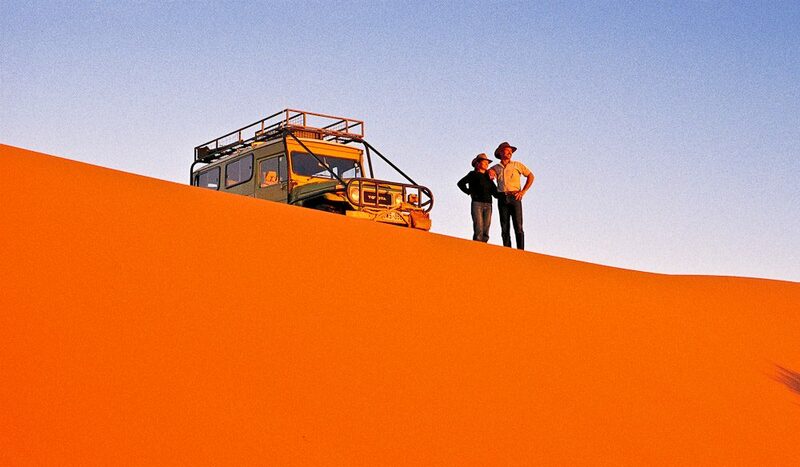 Arkaroola Ridge Top Tour is one of the best 4WD tours in the country. The views during the 4hr open-top adventure tour will blow you away, quite literally. Arkaroola’s hilltop observatory offers some of the best amateur astronomic viewing in the country. Stroll through 130 million year history on the self-guided Brachina Gorge Geological Tour. 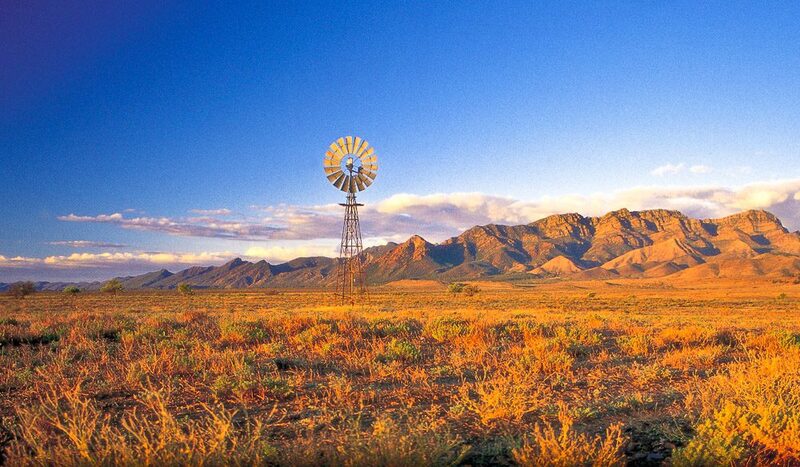 Find out how the spectacular cliffs and gorges of the ancient Flinders Ranges were formed. The 28km unsealed road connecting the Wilpena and Leigh Creek Roads (signposted the Moralana Scenic drive) is one of the best, with stunning scenery featuring the southern wall of Wilpena Pound, Black Gap Lookout, Red Range and Elder Range. 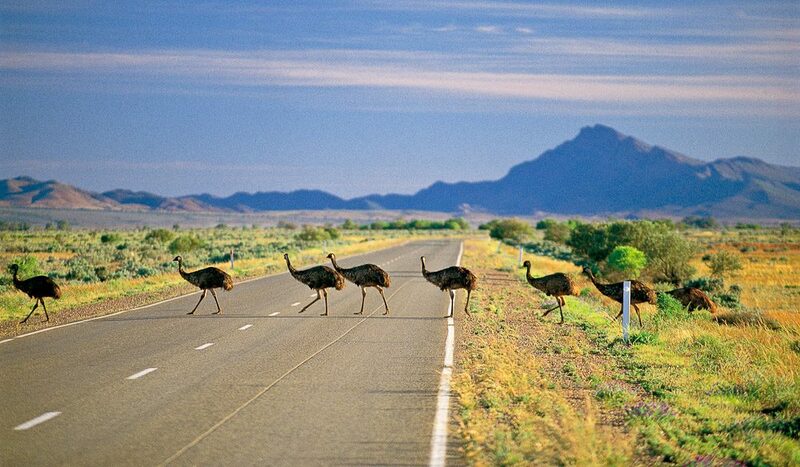 Drive entrances are – from Hawker – 24km north on the Wilpena Rd or 42km north on the Leigh Creek Rd. And speaking of Leigh Creek: the quirky town is well worth a visit. It once sat atop a valuable seam of coal, and (in 1982) was subsequently picked up and moved 13km south in order for the coal to be mined. Go right back to the beginning at Iga Warta, an Aboriginal cultural centre 50km from Copley on the Arkaroola Road that runs guided tours to rock art sites, bush-tucker walks, Dreaming trails and campfire story nights. Parachilna’s Prairie Hotel is an authentic outback pub with an innovative menu, most famous for its creative use of native foods. The Feral Mixed Grill of emu, kangaroo, goat and camel is the hotel’s signature dish.